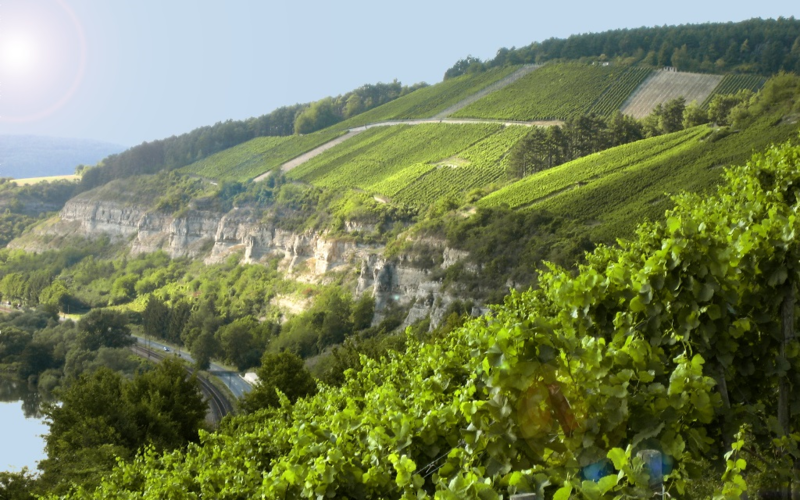 Popular name for individual layers in German-speaking countries, especially in Germany, Most likely, the name is usually due to a stony vineyard soil. One of these bottles with the then 421-year-old wine was served in 1961 in London a select circle of wine connoisseurs, including the journalist Hugh Johnson, As an attunement were a Rüdesheimer of 1857 and a Johannisberger Open from 1820, both wines were completely dead and spoiled and no longer drinkable. This left little hope for the Würzburger Stein, which was opened as the third bottle and highlight of this special tasting. But then there was a surprise, as Johnson writes. The ancient wine was brown in color and madeira-like, but it was drinkable. However, you could only enjoy two small sips, then the wine was within a few minutes due to the air contact vinegar, In the basement of the famous Bürgerspital stored well protected the very last bottle. The best plot or "fillet" is the sole possession of Bürgerspital located as a harp named area in the middle part of the situation stone. The lying in 210 to 250 meters above sea level section in the upper part of 50 to 60%, and in the lower part with 30 to 50% slope covers nearly eight hectares of vineyards on the same ground. This area is diagonally divided by an applied ascent, the Red Cross walks, so that it has the shape of an upside-down harp. The vineyard lines represent the strings of the harp dar. The name Harp or earlier "Harpfe" appears first documented in the second half of the 17th century. This page was last modified at 25 January 2019 at 12:13.